Learn more about digitizing your enterprise cash cycle with our industry guides and reference material. 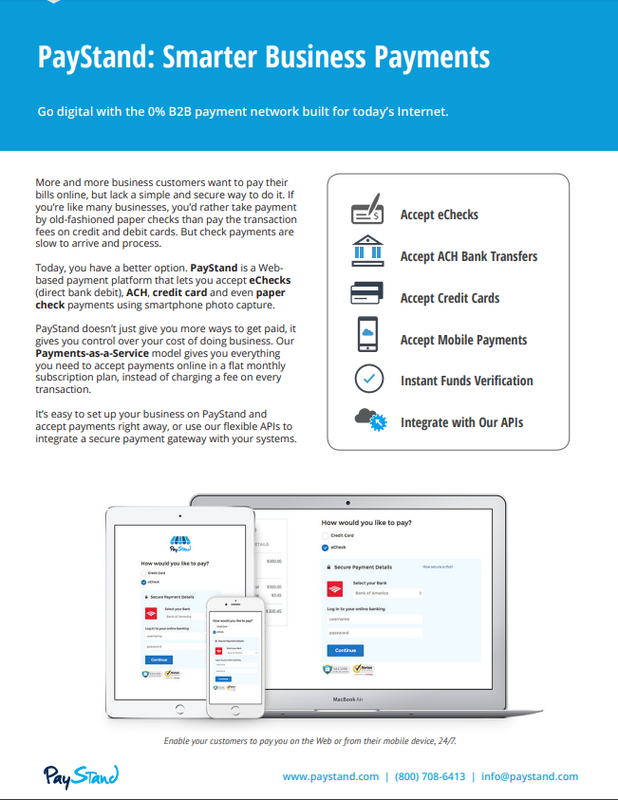 Download our PayStand Overview data sheet for a summary of our digital B2B payment network that can transform your entire enterprise cash cycle from invoicing to reconciliation. 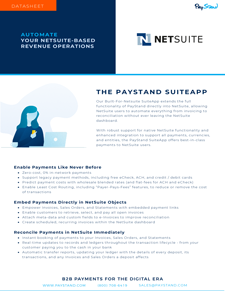 Our Built-For-Netsuite SuiteApp extends the full functionality of PayStand directly into NetSuite, allowing NetSuite users to automate everything from invoicing to reconciliation without ever leaving the NetSuite dashboard.